You are legally allowed to breastfeed anywhere, and it is against the law for anyone to tell you that it is not allowed. 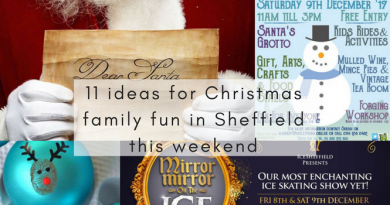 With that in mind, you can and should feel comfortable breastfeeding your baby absolutely anywhere in Sheffield. However, perhaps you’re like I was… breastfeeding did not come easy to us and it was a nightmare to begin with. I had to use shields for 6 months, and battling with them and a fussy baby who couldn’t latch was something I absolutely didn’t feel comfortable with doing in public. For me to feel confident about breastfeeding in sheffield I had to find places that were relaxed, had discreet corners or quiet sections and nice facilities. I’ve breastfed Eric every day since the minute he was born and at the time of writing this, he’s now nearly 2 and a half. 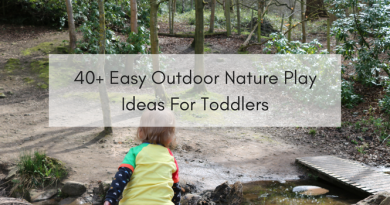 I’ve always lived in Sheffield so I’ve pretty much breastfed everywhere; but even now as a toddler, it’s still tricky business and if it comes to it I will breastfeed wherever and whenever; but I do prefer, on the whole, somewhere nice and quiet. It helps us both. Before we get into it, I just wanted to give some quick words of encouragement: please do not feel that you have to be 100% confident in public to be a good mother or to “breastfeed” properly. 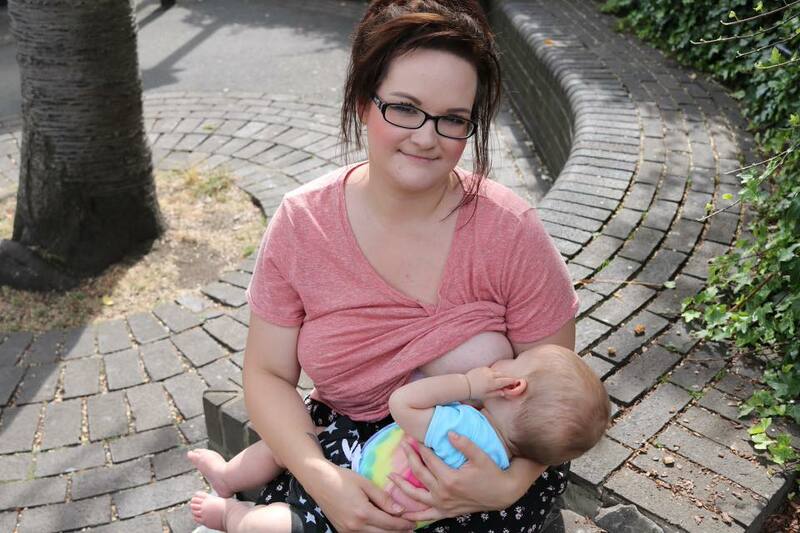 Throughout my 2 years of breastfeeding, I’ve come to realise that a popular thing to say is this, “I don’t care where I breastfeed, breastfeeding is natural so I will do it anywhere” or “I’m confident to feed anywhere so I don’t need to find special places.” Now, if that’s you; then that is wonderful! Breastfeeding is an amazing thing and to be able to have confidence to feed anywhere, at any given time is something you should be very proud of. However, not everyone has that confidence and that is completely okay. And, it’s important to remember that if you don’t feel comfortable breastfeeding in public you do not have a confidence issue. There are many reasons mums might not feel like they can feed anywhere and everywhere.It could be due to wanting privacy, religion, a fussy baby who can’t focus in a busy environment, tongue tie problems meaning feeds are very painful and difficult. Quiet, relaxed places help both mum and baby feed comfortably for many reasons. A mum using breastfeeding aids to help with breastfeeding, such as latch assists, shields, pumps or SNS System are things that may mean a mum much prefers somewhere quiet to feed her baby in peace. Right, without further ado, let’s get into it! These are places I have, over the last 2 years, felt the most comfortable breastfeeding in especially when we both needed somewhere quiet and discreet. Costa Coffee, 85-87 Pinstone St, Sheffield S1 2HJ. Pinstone St Costa is huge and on the corner of Peace Gardens in Sheffield City Centre. I much prefer it to one on Division Street or Orchard Square. Specifically for the downstairs area (there is no lift, though, you would need a sling) because it’s like alice in wonderland down there! The downstairs is really big with hidden corners, private sections, sofas hidden away under the stairs and a variety of seating. I used to always down here and downstairs when I knew I would be sat with a long feed. Baby change and cakes available! Sheffield Town Hall, S1 2HH. There is a lovely dedicated feeding room in Sheffield Town Hall, which is open 8am-6pm Monday-Friday. The feeding room has some seating, magazines, water dispenser and baby toys. Edinson’s Coffee, 2-4 York St, Sheffield S1 2ER. Just next to the Cathedral, this is a nice hidden gem serving really tasty cakes, food and coffee is really nice. There is a typical cafe to the front with the usual tables and chairs. But to breastfeed quietly, I always used to head straight to the back. To the left you’ll find a cozy private alcove with big comfy chairs, or down a few steps is even more areas that go in different directions which seem quite private. It’s table service and I’m pretty sure they have baby change. Boots, 4-6 High St. Boots on Fargate is a good call if you want somewhere very private because if you head upstairs, there is a baby room which changing facilities and a comfy chair to feed in. There is a lock on the door so you can get privacy and the staff are willing to help you if you need anything. Couch, 29-31 Campo Ln. Couch is just behind the cathedral on Campo Lane; where all the lawyers and solicitors offices are so a lot of people don’t know where it is! It’s a very nice trendy cafe with lots of comfy sofas, big arm chairs, tasty food and drinks with healthy options, good baby change and nice staff. The only thing is that it can get busy especially in the mornings and lunch with business people but if you go any other time it’s usually very quiet. Curzon Cinema, 16 George St. An independent little cinema tucked away on a side street next to Natwest Bank, sort of behind McDonalds. It’s never, ever busy and there is a bar on the bottom floor and a bar on the top with a roof top terrace. The bar upstairs is lovely and trendy. It’s always quiet and has comfortable seats. If upstairs is busy which I’ve never seen it to be, there’s lots of chairs downstairs, and next to the entrance is a little hidden room which anyone is welcome to sit in. 🙂 Theres baby change and lifts. John Lewis, Barker’s Pool, Cambridge St. Many parents love the cafe which is nice and has good facilities for kids, but I always found it a little on the busy side and no comfy seats. The baby change room has some chairs and a big window which I always found pleasant enough for quick, quiet feed and nappy change. Coffee Revolution, Sheffield University Students Union, Brook Hill Road. Just outside the city centre and near Weston Park Museum. The Sheffield Students Union is family friendly, breastfeeding awarded and has good facilities. There’s nice food and drink available in Coffee Revolution, comfortable seating and if the cafe is busy inside the building are more places to sit just dotted around; you can always find somewhere to sit. Next door just around the corner is The Union Cafe/Bar which in warmer months has a really big garden, loads of quiet corners and the food/drink is really nice. Baby change available. Megakidz, Bernard Rd, Sheffield S2 5BQ. Play centres were somewhere I really didn’t consider with a newborn or even baby, but Megakidz just outside the city centre is what I used to use as a cafe before Eric could play. 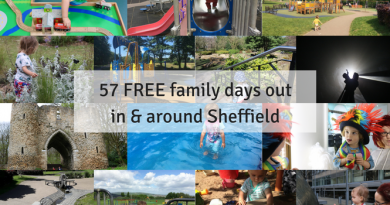 It has lots of comfortable sofas, cafe, play area for under 5’s and best of all, it’s free for under 1’s so if you have a baby you don’t have to pay for anything. If you go on a Tuesday or Thursday there is a free singing group (find out more about it here), which I used to sit with Eric in even when he was a few months old. Besides that, when you have a baby, there is a little toy area for little ones. It’s a nice place to meet friends. It’s never too busy because there are no big frames or anything so it’s not attractive for active, older toddlers and children. It’s not exactly quiet but the facilities make up for this and it’s all mums doing exactly the same as you! The staff are really nice and will always bring your food/drinks over for you. Virgin Money, 66 Fargate. Virgin Money is not just a bank. If you open up a free bank account of any type: it doesn’t have to be your main account and you don’t have to switch yours over, it can be a savings account for example, then as a bank account member you get free access to their Virgin Lounges. Virgin Lounges are free self-service cafe areas in the bank on 3 floors that you can relax, eat, drink and play in. The bottom floor has a little play area for kids, bowling alley & games. There is baby changing, free wifi and complimentary hot and drink drinks on each floor. It’s an absolute life saver if you are in city centre with a baby and need somewhere free, safe and clean to feed, change or just escape from the hustle & bustle. Highly recommend! Starbucks, Shopping Centre Unit 6, Orchard Square. This is the only Starbucks I liked to breastfeed in because all the others seemed too busy. The one in Orchard Square is nice but the best spaces to breastfeed in are upstairs. Now, there is no lift, however if you go in Waterstones and use their lift you can exit on the top floor and go across to the Starbucks. There are a few steps, maybe 3, but it’s do-able. IKEA Sheffield. Perhaps somewhere you wouldn’t usually assume for breastfeeding but it’s a great resource! IKEA has good baby changing facilities and upstairs in the cafe is an area with big arm chairs. It can get busy, so I prefer to head right to the back of the cafe and sit next to the big windows for a good view, plus a quiet spot to feed. And if you sign up to a family IKEA card (it’s free) you get free tea/coffee refills and money off food. Cineworld. You can access the cinema bar upstairs in Cineworld without a cinema ticket and the bar has some quiet corners with comfy chairs. There’s dim lighting, it’s never busy in the day time and you can get refreshments from the bar if you fancy. Nice atmosphere, too. Meadowhall Quiet Room. In Meadowhall there’s a private quiet room tucked down a corridor next to KFC in the Oasis. It has a lock on the door so can be completely private, a comfortable nursing chair, a sink and hand washing facilities. You can charge your phone, too! I’ve used this place many, many times before and it’s a lifesaver for when you need somewhere quiet to get baby to nap. Eric would never feed in Meadowhall; too much distraction and bright lights. Thanks for reading and happy breastfeeding! 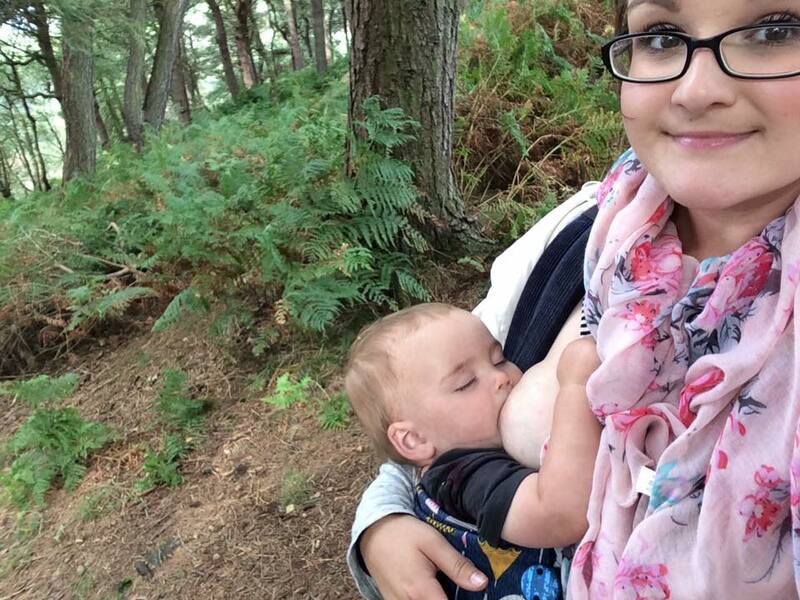 Please remember you are legally allowed to breastfeed absolutely anywhere, but as a mum who found breastfeeding quite difficult this list of quiet places really helped me grow my confidence to breastfeed in public. For a complete list of Breastfeeding In Sheffield Awarded Venues, this website is really great and you can download a complete list for free here. If you found this useful, please SHARE. Thank you!